Tomorrow is April 12. This is a date that most space geeks have committed to memory like it's their mother's birthday -- you just don't forget it. 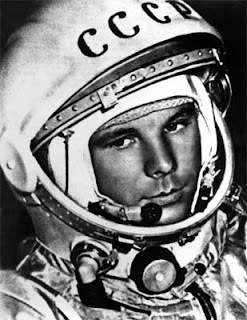 It is the landmark day in the history of human space exploration, when Yuri Gagarin exclaimed, "Poehali!" (Let's go!) and became the first man to orbit the earth in 1961, and also the day that Astronauts John Young and Bob Crippen strapped into Shuttle Columbia and lit the engines for the inaugural space shuttle launch in 1981. This makes 2011 a particularly significant year, marking the 50th and 30th anniversaries (respectively) of these two amazing feats of engineering and willpower. So how do we celebrate? Easy. Throw a worldwide space party, of course! Want to participate? There are currently 474 parties happening in 71 countries around the globe, all listed on the Yuri's Night Website. Simply visit the Yuri's Night event page and search for one near you! Can't make it to a physical event? The good folks at SpaceVidCast will be virtually covering the Yuri's Night action online starting at 2300 UTC/4pm PST on April 12. Finally, there are some pretty cool Yuri's Night contests happening until April 15th. Prizes include a Zero G flight in Russia (!) 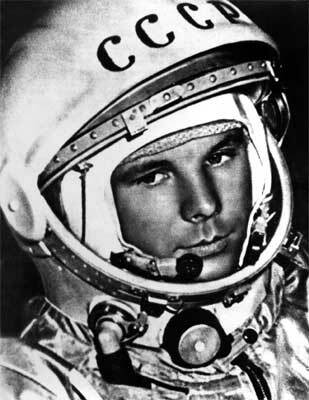 and a Russian space tour (!!) -- visit the contest section of the website for the details. Here in Los Angeles, we'll be celebrating at the Griffith Observatory -- all are welcome! And from Google Lunar X PRIZE HQ, we hope that everyone worldwide has a fantastic time celebrating past milestones and toasting to future successes in spaceflight tomorrow. Za zdorovye!